This vegan kale artichoke dip is one of my favorite recipes! It’s so easy and you cannot mess it up. Really. :) It comes out slightly differently every time I make it, and it’s super yummy every time! This easy vegan recipe is perfect for parties, appetizers and picnics. Chef’s note: I prefer to use the artichoke hearts packed in water, but either water or oil will work just fine. Rebecca is a former figure skater who healed from chronic joint pain by switching to a vegan diet. She is the author of It’s Easy to Start Eating Vegan and the founder of the Yummy Plants community. 1. Rinse kale leaves. Remove hard stems. Tear leaves into small pieces. Steam leaves until tender, about 10 minutes. 2. While kale is steaming, preheat oven to 400 degrees F, grease a baking dish, and prepare the rest of the dip. 3. Drain liquid from jar of artichoke hearts. Place artichokes In food processor or high speed blender. Squeeze 1/4 of fresh lemon into container. Add steamed kale. 5. Add vegan mayonnaise into the container and stir until well combined. Spoon mixture into prepared baking dish. Bake for 20 minutes. Serve with toasted bread or chips. 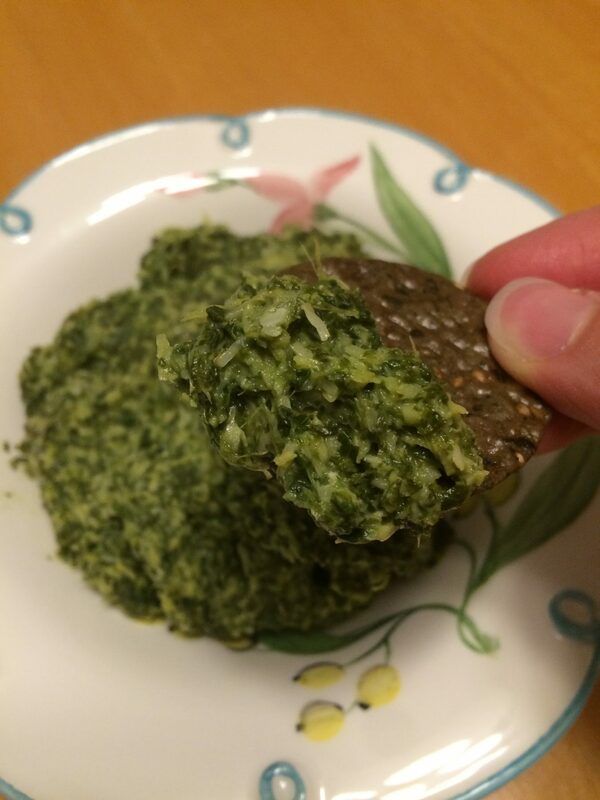 Let us know what you think of this easy vegan recipe: Kale Artichoke Dip!